Peter Richards has spent the better part of his professional life working to develop tourism products in Thailand and Myanmar. He shares with us his experiences, triumphs and frustrations and tells us what ingredients are needed to create a successful community-based tourism (CBT) product. As an expert in fostering successful multi-stakeholder relationships, he explains how to create partnerships that defy cultural barriers and political philosophies to create CBT products that are truly beneficial to all involved. Peter is also the author of MAKE IT COUNT, a new publication by The Travel Foundation and Leeds Beckett University with advice on how outbound tour operators can scale up sales of sustainable tourism products. The key to successfully managing multi-stakeholder tourism development projects. 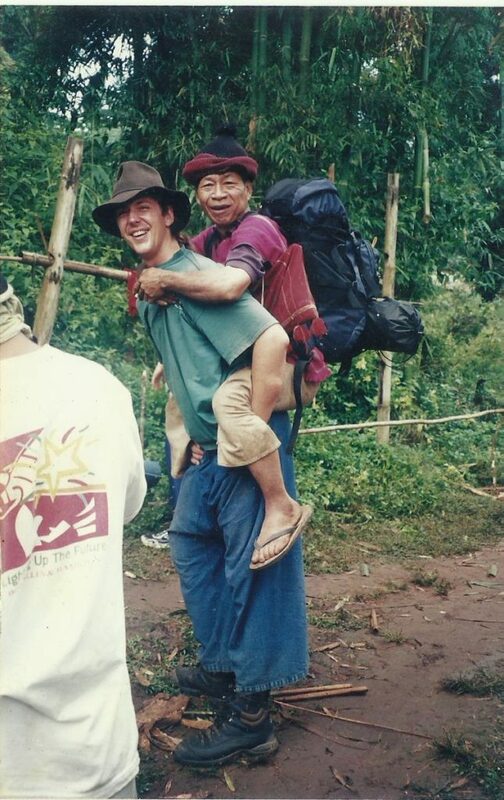 Peter, you first came into contact with the concept of sustainable tourism through your work as Regional Responsible Tourism Coordinator at Intrepid Travel in Southeast Asia (2000-2002). What were your initial impressions of the concept? Before working with Intrepid, I had worked for a year as an English teacher in a rural village about twenty kilometers outside Chiang Mai, Thailand. I lived on site, in the school. After school, most of the teachers went home. Initially, I felt quite isolated in the school campus. However, the local school staff: cooks, housekeepers and gardeners, began to notice that I was interested in village life. They took me under their wing and invited me to various events, such as temple fairs, house-warming parties, and other interesting events. At that time, many international tour leaders worked in SE Asia. Most tour leaders loved the countries where we worked and treasured the local people we met. Responsible tourism was something very immediate and practical to us. We wanted to solve concrete problems which we saw, such as school children without books or shoes, or ‘hilltribe’ villagers without blankets in the winter. We also took ‘irresponsible behavior’ by tourists quite personally! Looking back, I still appreciate our raw passion for SE Asia and the efforts which we made. However, in hindsight, our initiatives were often based on partial-understandings and over-simplification. They were ‘Band-Aid solutions’ which did not help to solve problems at their root causes. 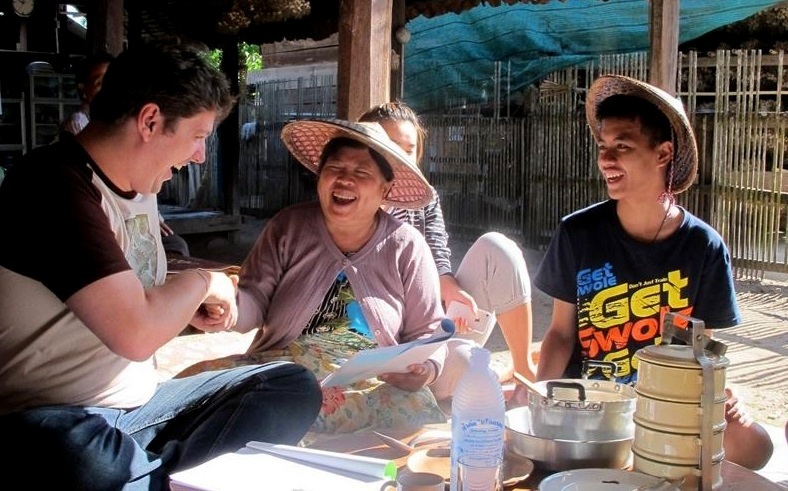 Under the leadership of Jane Crouch, Intrepid Responsible Tourism (RT) Coordinators began doing more research, consulting with local and international organisations, and supporting initiatives which were being rolled out systematically. Intrepid’s RT now has much greater impact. 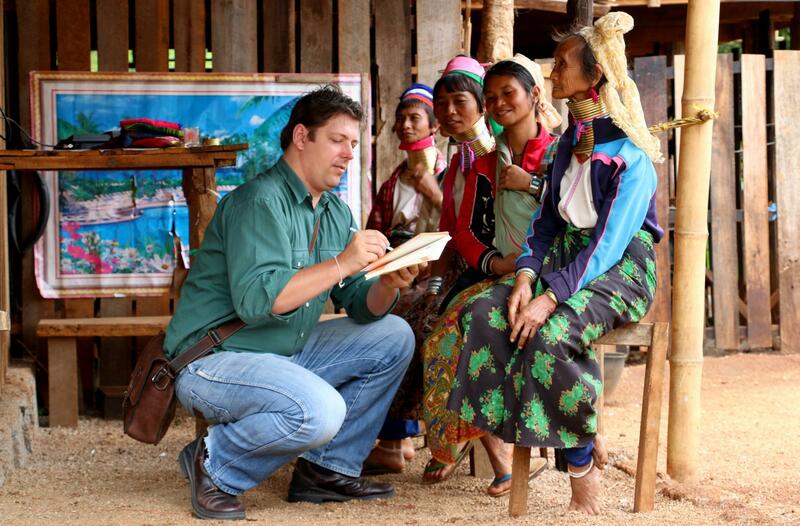 My personal highlight as RT coordinator was developing ethnic hill tribe language sheets and training tour guides to help travelers communicate with villagers during trekking trips. Travelers cross the world hoping for authentic, local experiences. Villagers are often interested in meeting travelers. They are also sensitive about how tour guides present their cultures. However, it is not unusual for professional guides to interpret local life on behalf of community members, rather than actively facilitating cultural exchange. These experiences ignited my interest in community based tourism. Community-based tourism (CBT) prepares communities to welcome guests on their own terms and share their ways of life in their own words. In your opinion, how has sustainable tourism changed or developed in the region and internationally in the past 15 years? I think sustainable tourism has changed massively and for the better. 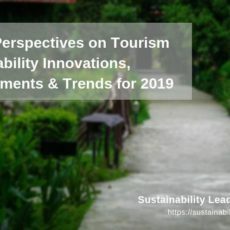 The focus of sustainable tourism has shifted from essentially small-scale ecotourism and CBT projects, which explicitly defined themselves as an alternative to mass tourism, to a much broader focus on how to make all types and scales of tourism more sustainable and responsible. Companies and supporting organisations are approaching sustainability more strategically and systematically, from the office to the field. Extensive resources and tools have been developed to help every size of tourism business raise their sustainability performance. We have better tools to manage the negative impacts of mass tourism (e.g. improving waste management or reducing water and energy consumption), and motivate big tour operators, hotels, restaurants, etc. to contribute towards the Responsible Tourism promise of “better places for people to live in and better places for people to visit”. For example, through sourcing local products, offering decent work and welfare to local people, robust CSR, etc. Meanwhile, many of us working on CBT and ecotourism have learned a lot from past successes and failures. CBT has attracted fair criticisms when projects have failed or underachieved. In some cases, projects initiated by NGOs were located too far from tourism hubs and flows to attract visitors. In other cases, project teams had not provided community members with business skills to manage their enterprises or built viable market linkages. Private sector initiatives also hit obstacles when staff lacked the expertise to mobilize or train community members, mediate conflict, manage tourism benefits transparently, etc. NGO’s have moved from activism to strategic engagement with industry and government. At the same time, tourism businesses and government have become more interested in sustainable tourism and local community benefits, and more open to working with NGO’s. Now, across Asia, we can see many examples of better-designed CBT and ecotourism, based on partnerships with responsible tour operators, and technical support by social workers. 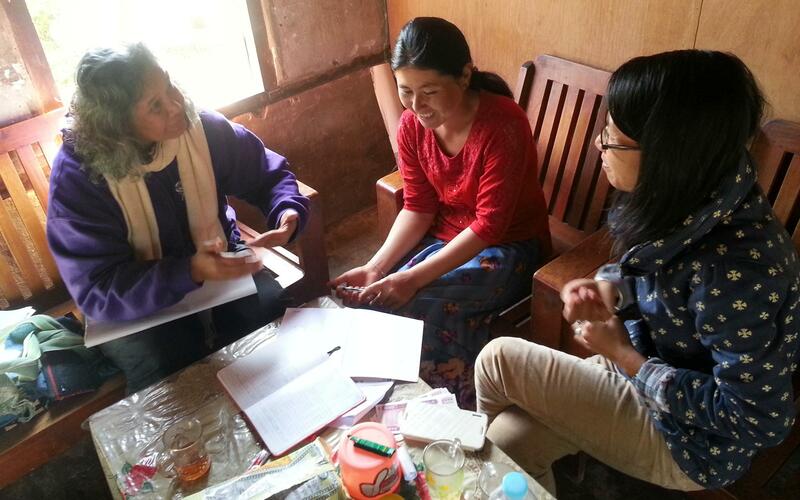 A good example is the partnership between Peak DMC and Action Aid in Myaing, Myanmar. I believe that there is a very important role for long-term, committed organisations, which facilitate stakeholder cooperation through partnerships and pilot projects. In the UK, The Travel Foundation have done fantastic work, engaging massive tour operators to fund pilot projects, which benefit local people and the environment. CBT-I (Thailand), and INDECON (Indonesia) have worked for over 20 years to create opportunities for local people to participate in, benefit from, and influence the direction of tourism development. At the regional level, Wild Asia has made an important contribution through their annual Responsible Tourism award, based on the Global Sustainable Tourism Criteria (GSTC), which celebrates its 10 year anniversary this year. Compared to 15 years ago, we have much deeper understanding about who needs to work together, and what they have to do to raise sustainability performance. 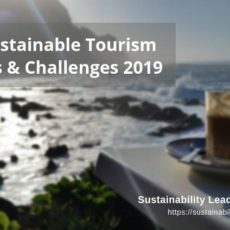 Perhaps the most important challenge for the immediate future is how to add much more value when marketing sustainable tourism, in order to successfully incentivize and reward sustainable suppliers? 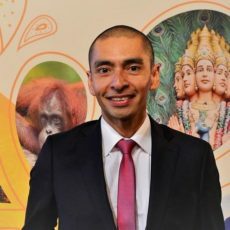 After over a decade working in sustainable tourism development in Thailand, you began work in May 2015 as Consultant on Cultural Tourism Development and Market Access for the International Trade Center in Myanmar. What drew you to this project, and what is it all about? Kayah is Myanmar’s smallest state, situated in the hilly, eastern part of the country. It is a fascinating area, inhabited by nine ethnic groups, which weave a tapestry of livelihoods, languages, beliefs, customs, costumes and cuisines across the state. Kayah had been closed to visitors for over 50 years, due to fierce conflict with the military government and between ethnic armed groups. During the past decade, these groups have gradually moved from conflict towards greater trust, cooperation and peace. The state capital, Loikaw, is now served almost every day with flights from Yangon by Air KBZ and Myanmar National Airlines; or travelers can take a scenic boat ride from Nyaungshwe / Inle Lake to Pekong. The project is really exciting, because it is an integrated suite of strategic actions at many different points along tourism supply chains: from local communities to high-value markets. Activities include training local, ethnic minority communities and small food and crafts producers to develop, manage and operate fun, interactive, cultural tourism activities; linking these experiences and products with local operators and guides in the state capital of Loikaw; marketing the new tours to tour operators in Yangon; and building the capacity of these Yangon tour operators to successfully and responsibly market their offer to EU tour operators. The project is also supporting a national and state level branding campaign and training public sector partners and Myanmar’s tourism associations. It’s very ambitious! Potjana Suansri (former director of Thailand CBT-I) and I are working with a local ITC team to mobilize and train community members, develop community-based cultural tours, and support tour operators in Loikaw and Yangon to market them. We were drawn to this project as an opportunity to share two decades of experiences in Thailand with our neighbors in Myanmar to help build on best practices and avoid past failures. It is also a privilege to be able to work with Kayan (long neck Karen) people, to develop respectful cultural exchange programs, which we hope will be a stark contrast to the sad, ‘human zoo’ situation which Kayan refugees had to face in Thailand for many years. Most inspiring is training over 20 young, Kayah professionals and students, across ethnic divides, to work as a team and become CBT trainers, so they can replicate lessons learned, after the project ends. Myanmar has only recently opened its door to tourism, but it is quickly catching up with popular neighboring destinations like Thailand and Laos. What are private and public stakeholders doing to promote sustainability in the country’s tourism development? Overall, it’s an inspiring time to work in Myanmar. Many tourism stakeholders are sincerely committed to making a contribution to national development. People are eager to share their lives and cultures with the world. However, there is also concern about how rapid tourism growth may impact traditional cultures and ways of life, and the environment. The Myanmar government has done a lot of things right. As a result of strong teamwork between national and international organisations, responsible tourism and community benefits are now embedded in Myanmar’s tourism policies. Initial reform in the tourism sector was initiated in 2011. A partnership with Hans Seidel Foundation (Germany) lead to the Nay Pyi Taw Responsible Tourism Statement (2012). Subsequently, an ambitious process of workshops and consultations informed the Myanmar Responsible Tourism Policy (2012). Other, early milestones were the Policy on Community Involvement in Tourism, and an excellent brochure on Do’s and Don’ts for tourists developed by Tourism Transparency. Since then, there have been an increasing number of sustainable tourism initiatives in Myanmar. Private sector associations, including The Union of Myanmar Travel Association (UMTA) and Myanmar Tourism Federation (MTF) are partnering with international projects. They are encouraging members to attend sustainable tourism trainings, workshops, etc., organised by international development partners including CBI, ITC, GIZ, and UK AID. SST Tours, one of Myanmar’s first ecotourism pioneers, and a nascent Myanmar CBT Network also organize regular discussions to network and share sustainable tourism knowledge. Many individual tour operators are also active, joining FAM trips and organizing their own surveys. Initially, a cautious approach was taken to opening local communities to tourism. Six pilot ‘community involvement in tourism’ (CIT) projects were initiated, of which the ITC project is one. In 2015, the NLD won a landslide victory. The current Minister of Hotels and Tourism (MOHT), U Ohn Muang is highly supportive of sustainable and community based tourism. CBT is now included as a key strategy under the MOHT’s 100 Day Plan. Personally, I think the decision to begin with only 6 destinations was smart, because stakeholders can now learn and apply lessons from six different models, according to what best fits their context. For those interested to learn more, there are very interesting resources online at Tourism Transparency and The Business Innovation Faculty (BIF). Another exciting innovation is the recent establishment of the Myanmar Responsible Tourism Institute (MRTI). And, if you would like to follow the step by step development of cultural community based tourism in Kayah, you are most welcome to join the Kayah Inclusive Tourism group on Facebook. In your experience, what is the biggest challenge faced when developing community-based cultural tourism products? A big overall challenge is that successful CBT development requires a balance of community development and tourism skills. Because community development and tourism are such different education and career paths, teams developing CBT often lack one or the other. As a result, there can be big ‘blind spots,’ which cause projects to fail or under-perform. Team members with tourism backgrounds will focus on products and markets. They will notice if a community is well-located, nearby or on route between tourism hubs. They will have enough experience to notice whether a community is honestly exceptional enough to compete, or only ‘quite a pleasant place’. They will see opportunities for innovative product development and have the skills and contacts to get CBT products to market. On the other hand, the social dimension to CBT makes it different from most other products. CBT is usually managed and operated by a village tourism club, sometimes working in partnership with a tour operator. Roles may include coordinators, community tour guides, cooks, transport providers, expert artisans or musicians. Work is often shared between active community members through queues and rotation systems. A percentage of income may be contributed towards a community fund, which is used to fund various local community development and conservation initiatives, ensuring broader spread of benefits. For this to succeed, people need to work together as a team. Crucial success factors for CBT, which are not immediately obvious, include how well people work together? How much do people trust each other? Even if a village is exceptionally beautiful, CBT will fail if enough community members seriously distrust their leaders or each other. On the other hand, local people may be too busy or even disinterested to develop tourism. How will you know this? Your social workers must invest enough time and energy to earn trust. They need the skills to conduct a community study which is sharp enough to identify hidden potentials for cultural experiences and hidden weaknesses among people. They need to help community members to understand tourism and why tourists want to visit their village. They need to help find a balance between aspects of local life which community members feel proud and comfortable to share with guests and real activities and services which tour operators and tourists will actually be interested to buy. They must identify who is interested, available and prepared to take responsibility when bookings are made and tourists begin to arrive. If you could give three tips to someone wanting to start a community-based cultural tourism tour operation, what would they be? First is respect. Even if your initiative is explicitly aiming for ‘poverty alleviation,’ never give community members the impression that you consider them to be poor. CBT succeeds when local people take ownership and responsibility for programs which they feel proud, comfortable and confident to offer visitors. Successful working relationships, where all parties pull their weight and take responsibility, are based on mutual respect. People know when they are respected. So, take time to get to know people. Show sincere interest in their lives, and confidence in their ability. Support them with the necessary skills to get the job done (e.g. interpretation, cooking, taking and confirming bookings, simple accounting). Second, do not underestimate the amount of time it can take to build community members’ skills to welcome tourists and deliver a great experience. Short trainings are not sufficient. Effective ways to build skills include study tours to existing CBT destinations, trainings (e.g. hospitality, hygiene, guiding, accounting), follow-up coaching, and helping community members to reflect on experience and improve. For example, encouraging community members to reflect on the experiences of welcoming families, as distinct from students or senior travelers. How are the visitors different? How should levels of physical challenge or complexity of interpretation be adapted to different ages, fitness levels, etc.? Last but not least, there is no tourism without tourists. If you are a community worker (NGO, consultant, academic, etc. ), then approach professional tour operators and tour guides and invite them to join CBT development activities from the beginning. This will give tour operators the chance to meet community members, build trust, start to build relationships and provide some feedback on product development. 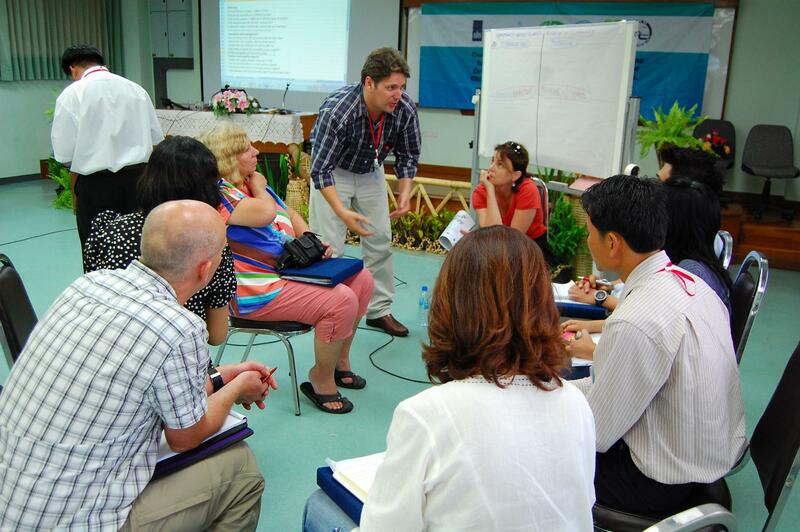 A key step is training professional tour guides to work as a team with local community guides. Professional tour guides are used to being a ‘one-stop service’ for tourists’ every need. It can feel counter-intuitive to share the spotlight with local community guides; however, for CBT to succeed, community members need space to learn from experience, including making mistakes. Getting tour operators, government agencies and local communities to come together to develop and promote sustainable tourism is no small feat, yet you have done it successfully on a number of occasions. What were the major challenges you faced in fostering this multi-stakeholder cooperation? How did you overcome them? Most projects I have worked on have aimed to develop and market new, local, sustainable tourism experiences. 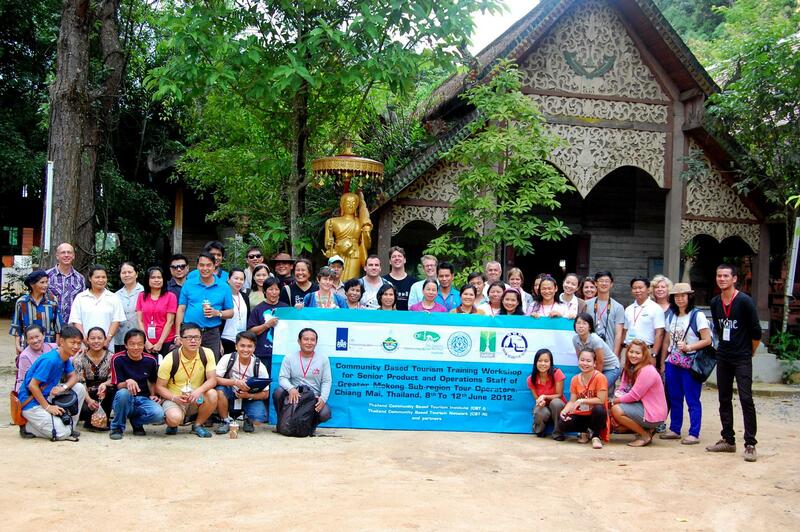 Multi-stakeholder cooperation along international tourism supply chains is a team effort. It is crucial to thoroughly map stakeholders, along the chain, from end to end; and try to ensure that you have enough people and resources to engage with each group. Having enough resources to work from the field to the market is never easy. A key success factor is to facilitate a space where stakeholders are open to listen, and try new things. This is not easy, especially if you are dealing with confident, senior people, with decades of experience. It is also very difficult in formal situations (like big meetings), where people feel exposed. People will often listen to each other more willingly if they have shared positive experiences together. Organisation a study tour or a FAM trip can be a great way to draw people away from a formal environment, and get them talking and thawing out. Holding workshops, small group activities which mix participants across stakeholder groups, and requiring discussion and cooperation are very useful in getting people to listen to each other. It’s also good to get people working together on something practical, quickly, rather than waste time disagreeing on points of principle! 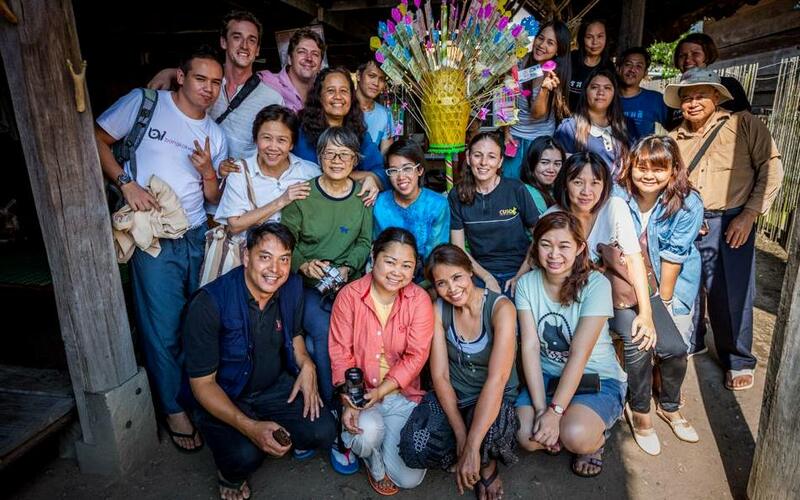 In 2010, when CBT-I (social workers) worked in partnership with the Thailand Ecotourism and Adventure Travel Association (tour operators) we started the project with many opposing views. Burning the midnight oil until 11 pm for days at a time fostered mutual respect, and finally we were a great team. In the villages, differences in power and social status mean that outside stakeholders often seriously underestimate community members’ potential to be ‘partners’ rather than simply ‘products.’ This situation can be improved by building community members’ confidence and skills to communicate, negotiate and cooperate with outside stakeholders. Our team have developed a simple guide training system, Safety, Story, Service. We also conduct joint training with community members and tour operators and guides, so that these stakeholders have lots of opportunities to work together, and develop teamwork. As a facilitator, I often find myself helping to negotiate a workable compromise between the demands of tour operators and communities. I try to help stakeholders empathize with each other’s roles and limitations. Communities need to understand: Who are tourists? Where are they from? Why do they travel? Why are they interested to visit a village? What are the positive and negative impacts of tourism? What kind of commitment is CBT? However, I also keep in mind that, although we hope that tourism will be an opportunity for community members, we cannot assume that it will be. CBT requires time and effort. Tour operators also need to be flexible to the reality of life in rural villages. If necessary, the project has to slow down to the speed of the village. Then, my job is to explain clearly to tour operators or donors why this has to happen, and hope that they listen! Download a copy of Peter’s latest guide Make It Count here, or connect with Peter Richards on LinkedIn. 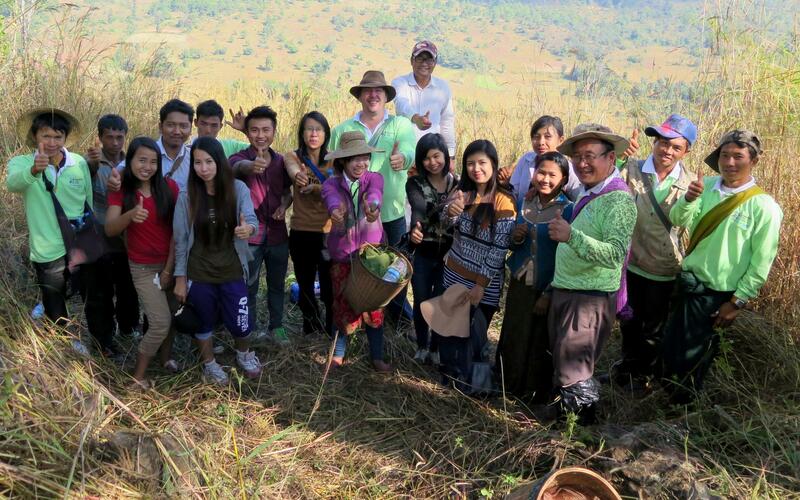 Enjoyed our interview with Peter Richards on community-based tourism in Thailand and Myanmar? Share and spread the word!